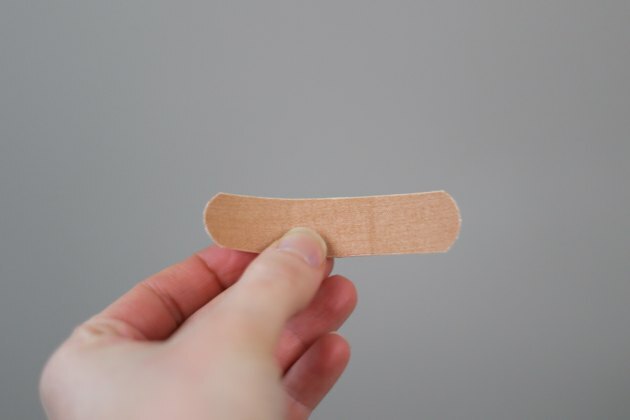 A callus is skin that becomes thicker to protect itself from injury. Calluses can appear on your feet when running because of the friction caused during this activity. The skin might seem flaky, dry and harder than the rest of your skin. It's possible, however, to reduce your risk for developing calluses during running with a few changes. Select running shoes that give your feet plenty of room. When purchasing shoes, try wiggling your shoes. If your toes can't wiggle, purchase shoes a little larger. Pick the right socks. Socks made from polyester-cotton blend are best. That's because this material helps reduce moisture better than regular cotton socks. Your feet won't move around as much, preventing calluses. 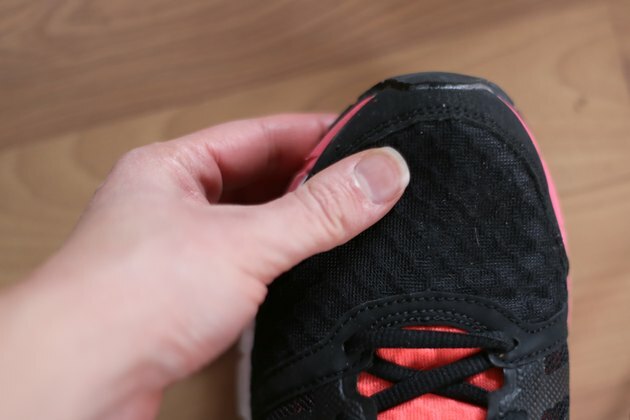 Pay attention to where your running shoes pinch and pull. 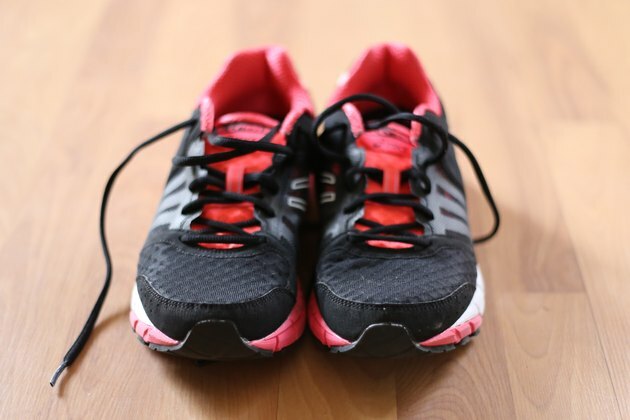 Take your running shoes to a shoe shop and ask the staff to stretch the points that rub or pinch. This will help avoid calluses from running during your workouts. Avoid calluses temporarily by placing a barrier between where the shoe is rubbing and your skin. Accomplish this by placing a bandage inside your running shoes where the shoe rubs against your foot. You also can place lamb's skin between areas that are tight in your shoes. Talk with your doctor about using shoe inserts during running sessions if you have a foot problem, such as a hammertoe. This is when the toe has a curled appearance, similar to a claw. These foot deformities put you at higher risk for developing calluses. 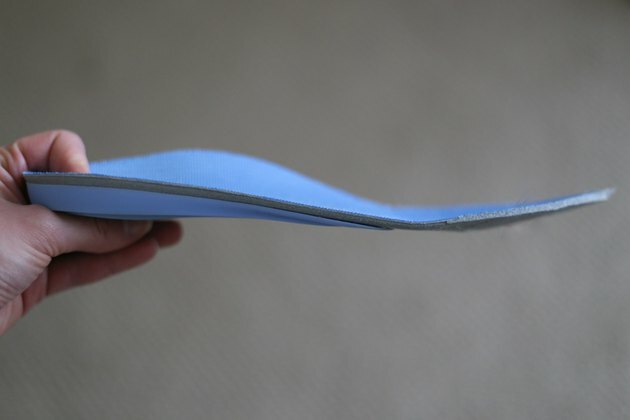 Your doctor can prescribe special shoe inserts to help prevent calluses during your running sessions. 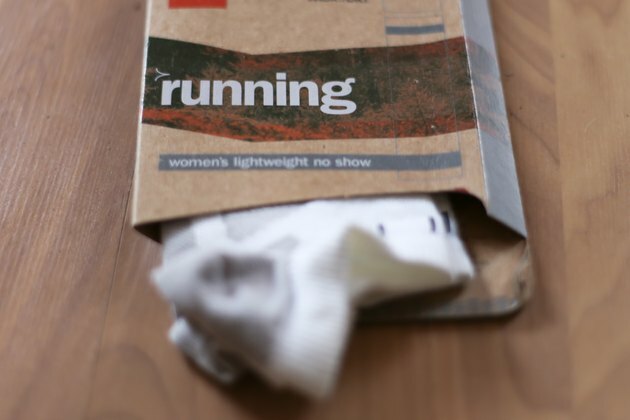 These inserts slip inside your normal running shoes. Soak your feet in warm water a few times a week. Doing this will soften areas where calluses are starting to form. After soaking your feet, use a pumice stone to file down skin that’s starting to get thick and form a callus. If you have diabetes, don’t use pumice stones, since your risk of foot infection with diabetes is higher. Talk with your doctor about other options.